Hey guys!! I know I said I was back … but that was before I was hit with the most insane jetlag ever … AND a brand new deadline to hand in an introduction to my masters thesis on Monday … as in tomorrow. Yup so once again I have neglected to read blogs and write my own. Sigh. No worries though I think I am really back from Monday so yay me! I will definitely be posting my recap posts this week. I truly miss my blog and blogland. Funny how that happens. Because my life was in a state of pure chaos this week, I missed book club day! No worries I’m posting my review today! I probably mentioned it once or twice on the blog but I have an English/history double major degree. So I have read this book before. Many many times. And on no planet would this book get less than five stars from me!! I know not everyone loves this book, but I love it! 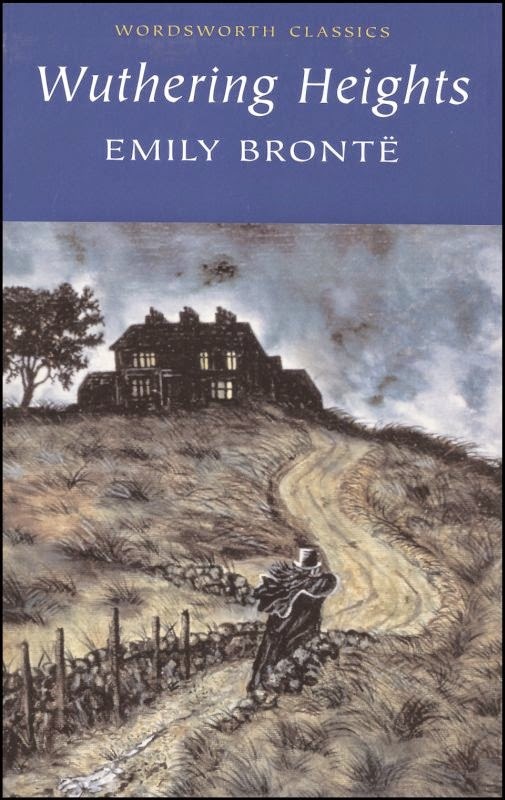 To me, Wuthering Heights is a book well beyond its time. It is simply put a book written in 1847 with themes that transcend that period and are applicable in the present day. It has often been considered a gothic novel and follows the romance (?) between Catherine, an upper class girl, and Heathcliff an orphan who was taken in by her father. I don’t give spoilers in my review generally but I will say this, the love story does not go as planned … at all! It gets dark folks, it gets real. Too real. But this fact, in which in my humble opinion ,made for an excellent story and I cant imagine how brilliant Emily Bronte must have been to dream up this literary genius in the 19th century. Brilliant! And please dont take away from this that it is only a tale of romance, because it is so much more. – beautifully flawed and very human! They both take the reader through the motions of loving and loathing (particularly Catherine). They were developed in such a way that you become so invested in their stories, and the stories of those around them! this review is purposefully vague. Here is my review … READ IT … its worth it!